Taking care of your mental, emotional, physical and spiritual wellbeing in a busy 21st century lifestyle is now more important than ever. Using my expertise as a meditation teacher, self-esteem coach, and Yoga teacher let me give you the tools to manage your mind so you can live with greater ease and happiness and reach your full potential. I was recommended to Ruth Oliver’s Irest Meditation course by a friend some 12 months ago. Ruth knows her subject matter very well and is an excellent communicator. The course notes provided are also very helpful. This meditation style is great for me and practical for everyday living; just so easy to integrate into your day. It has helped me to become more relaxed, sleep better and provides tools to help through any tough days. Ruth’s classes are a lot of fun; she has so much vitality and such a positive attitude.I look forward to my weekly sessions the meditation, the chats and the sense of peace that these classes bring to me. So, thanks very much Ruth. The mental health benefits of meditation are well documented. 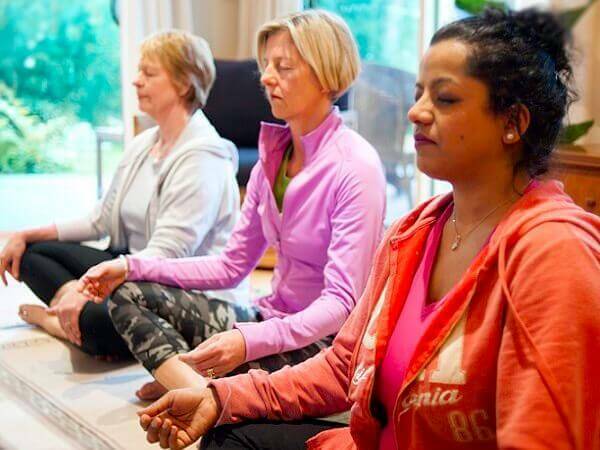 The iRest meditation course with Ruth Oliver provides a safe and supportive environment to learn and practice the fundamentals of meditation and bring stillness and clarity to our often turbulent minds. The Conscious Confidence and Self Esteem course taught me tools to love myself better and have more choices in my life. I’m deeply grateful to Ruth Oliver, whose insightful and compassionate facilitation made this possible. Ruth seamlessly combines Western cognitive techniques with Eastern meditative practices to create a diverse and powerful learning experience. Her wisdom, levity and grace made me feel safe and supported even when working through deeply personal challenges. This course had a profoundly constructive effect on my life, I’d recommend it to anyone. I loved my time spent in your meditation course last term. Your soothing voice and calm words had me mesmerised as soon as I entered the room.I know the techniques of meditation will take time to learn but I love practicing as well. Any quiet, soulful time spent visualising places and relaxing the body and mind must be good for us?My main issue is finding the right time to keep it always in my schedule. My new years resolution……to meditate every day.Thanks for the enlightenment Ruth, it was brilliant. I found Ruth’s meditation sessions very comforting, instructive and peaceful. I have learnt a lot. As a beginner I have much more to learn, but I have been able to use some of the theories and practices of iRest in my everyday life. I have been assisted to deal with some issues that have been hanging around for a while, and the meditations have allowed me to be calm and deal with issues that come up in everyday life. I particularly found your sessions on finding opposites to negative feelings and beliefs very helpful, and I find that I can reassure myself when negative thoughts, situations and feelings come my way. Thank you for your wisdom, your easy nature and your ability to be a good teacher. Thank you Ruth. I have found Ruth’s meditation course invaluable in helping me to cope with a chronic disease. Ruth is a gifted teacher of meditation and her ability to take you to a relaxed and meditative state is incredible. Her meditations are calming and provide comfort on difficult days. I wish I had of known the benefits of meditation sooner. Everyone can benefit from developing awareness and becoming more mindful – it can be life changing. I can highly recommend giving it a try. It is something that I will continue to practice for the rest of my life. Highlight of my weekly exercise programme is Ruth’s Yoga and Pilates class. I look forward to joining Ruth for this enjoyable time. She makes it fun and exciting and it keeps me very fit and trim. Her calming voice makes us so relaxed and ready to face the rest of the day. I do not miss her class unless I am away on holiday. Thank you! I have been attending Ruth’s Pilates Yoga classes for over 10 years after hearing of the benefits of Pilates for strengthening the core and, in doing so, hoped to strengthen my back. I chose Ruth’s classes as she is highly qualified and her classes are small and cater for individuals. Ruth’s friendly, calming and encouraging manner is welcoming and puts me at ease during an, often, busy day. The exercises are always varied, interesting and challenging. I highly recommend Ruth’s classes. The atmosphere is fun and friendly and it doesn’t matter if you attend casually or every week. I always feel better afterwards! Ruth’s course is structured and easy to follow, presented in her comfortable, welcoming studio. Supporting notes and recordings give you something to refer to and practice during the week.Of course, it will take ongoing practice to gain all the benefits of meditation, but I am definitely on my way now, so thank you Ruth, I am so pleased I signed up! Ruth conducts her sessions in an inclusive manner with a personal touch. The sessions are educational, practical, engaging and fun. 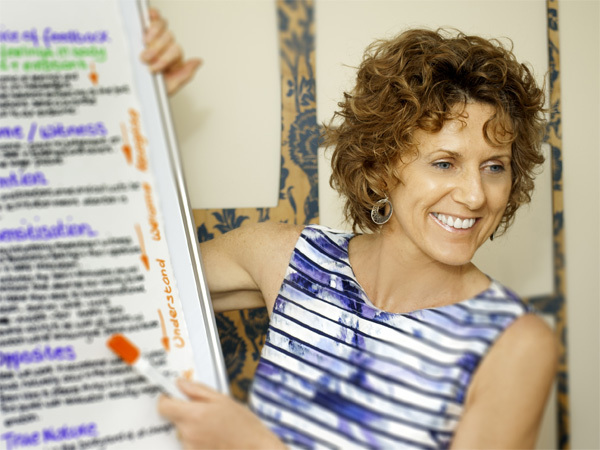 Ruth is a highly accomplished leader and great facilitator. Whether new to meditation or an old hand, I am sure that your personal growth will flourish. I have completed both one on one and group sessions and highly recommend both. Meditation has helped me to think more clearly and not worry about the past or coping with everyday stresses. It has also helped a lot in dealing with severe grief after the death of my husband. I have had the pleasure of participating in Ruth’s classes for several years, and more recently Meditation. Her classes are always varied and challenging whilst catering for individual fitness levels and flexibility. As an active over 50 year old I enjoy the wellbeing and sense of achievement that I feel after participating in one of these classes. I recently became part of Ruth’s meditation group and feel immense benefit from the sessions and ongoing practise of the meditation techniques I have been taught .Ruth is always enthusiastic and displays tremendous commitment and belief in the philosophies behind the classes she teaches. I continue to be amazed at how powerful this type of meditation is for me. Two significant revelations which have lifted a huge weight that I didn’t realise I was carrying around!! Doing meditation classes has opened up my mind to a new dimension. I have learnt to embrace the challenges that life brings up on a daily basis in a more objective way and by doing so I have found a balance, an inner peace that is always available which only leads to being happier. I have also learnt that happiness is right here, right now. I encourage anyone considering doing meditation classes to explore their inner self and to discover the powers hidden in their mind. I wish I had started doing meditation sooner, I am now a happier person. I`m lucky enough to have done many of Ruth’s classes for some years now and more recently iRest Meditation. Ruth has a strong knowledge of the body and how to keep it in shape but more importantly knows how to help us connect to our deeper selves and quiet our minds both through exercise and meditation. i have always found it difficult to meditate but with Ruth`s excellent instruction, incredibly soothing voice and openness with her own experiences of how to integrate a quiet mind into our lives, I`m getting there. To me she is a mentor and an inspiration. I would highly recommend her classes to anyone wanting to develop a deeper mind body connection in a really safe nurturing environment. Ruth and her Integrative Meditation class were nothing short of amazing for my partner, Mike and I. Both being time-poor, stressed and high-strung as directors of our company, we were looking for something to balance our tense and fiery personalities. With Ruth’s classes we found it a very useful tool to help pull us away from reacting to the noise of everyday life. Searching within ourselves to find our own inner peace. In my own experience, I suffered a few traumatic issues such as my dog being stolen and having a car crash during the weeks I attended to her meditation. However through the use of iRest, I was able to control my negative emotions and “respond” rather than react. (I got my dog back in 3 days and handled the car accident unbelievably calmly.) I am ever so thankful for attending this class and have managed to put what I’ve learned into practice and help others become aware of their own negative states similar to mine by simply spreading the word of what worked through the classes. Thank you to Ruth who was absolutely brilliant and I highly recommend you take this class, as there is more to gain than one could ever properly explain. I enjoyed the course immensely as it was set in a very relaxed environment, but little did I know that within weeks of the course ending my strength of character and everything Ruth taught me would be put to the test. I learnt that my health was in severe danger with a reoccurrence of a tumor that was aggressively invading my back, ribs and hip and getting very close to vital organs. I was booked in for a very gruelling 10 hour surgery and I woke up in ICU 24 hours later. Yes, I had a tough road ahead of me. Immediately after waking I meditated. I meditated in that hospital day after day, night after night. I used all of Ruth’s techniques multiple times a day. When I felt anxious I meditated, when I was in pain I meditated and when I felt alone or in pain I meditated. I’m 3 months along now and I need to express my sincere gratitude to Ruth Oliver for (unknowingly) helping me through the toughest time of my life. Her lessons are life long and what I gained from her classes will stick with me forever. I could not recommend Ruth’s iRest® course more highly.I felt comfortable and welcomed right from the beginning.Her insights and teachings have stayed with me.I am very grateful for her wisdom and to have had the opportunityto be guided to stillness by Ruth. I would like to highly recommend Ruth Oliver. I have been doing Pilates classes incorporating yoga movements now for many years. Ruth comes to my home and we do exercises that are specific for my needs and capabilities. Ruth brings with her a wealth of knowledge and expertise. I am extremely grateful to Ruth for keeping me flexible. I have scoliosis and disc degeneration and without Ruth’s care and an excellent program, I would be extremely stiff and quite immobile today. I have found the meditation practice taught by Ruth really helpful in managing anxiety and pain. I looked forward to the weekly group classes which provided a safe and comfortable environment to learn and practise meditation. Ruth‘s approach is warm, welcoming and very practical. The course has finished and I continue to use the recordings every day. I look forward to my iRest Meditation sessions with Ruth, they are beneficial for my overall wellbeing. Instead of going to the gym, it has become my exercise for my mind, body & soul.